Are you in need of transport chairs or lightweight transport wheelchairs for your clinic, or for your own use? If so, you will find that Allegro Medical has some fantastic options available that could work well for you. Some of the brands available include Invacare, Nova, Drive, and Medline. You can find various sizes and styles, along with wheelchair accessories. 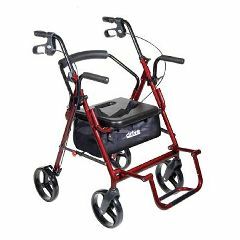 The Best Price Guarantee from AllegroMedical.com ensures that you are getting the lowest prices on the best wheelchairs.